Take Dictionary.com’s trusted reference content wherever you go. ALERT: For an ad-free experience download the Dictionary.com Ad-Free app! 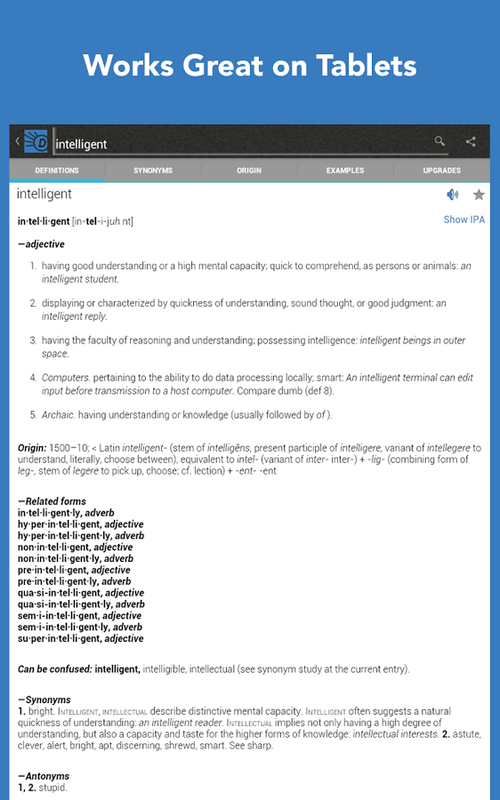 Android’s #1 reference and dictionary app delivers trusted content from Dictionary.com and Thesaurus.com. 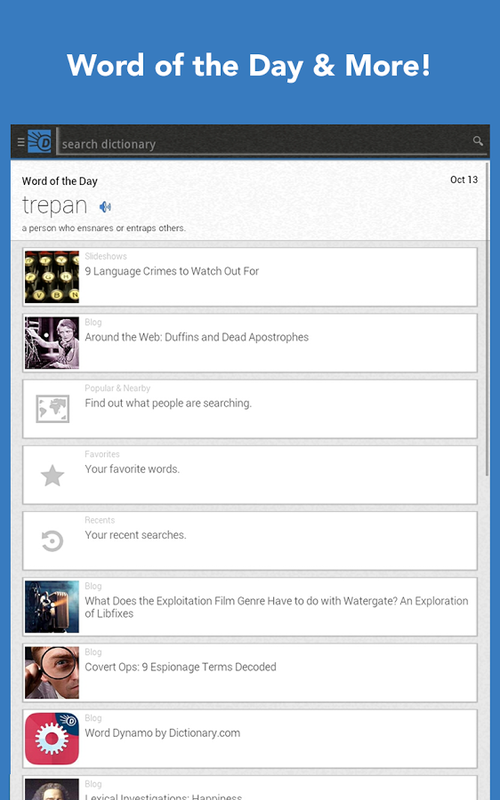 The app also features a home screen widget, voice search, audio pronunciation, and Dictionary.com’s popular Word of the Day and Hot Word blog. Dictionary.com not working on my z10 device...plz fix it!! !